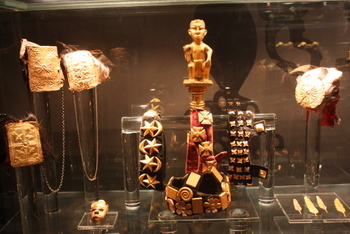 The Gold of Africa Museum is home to a collection of West African gold artifacts as well as objects from the ancient civilisations of southern Africa. With more than 350 West African gold artifacts, the focal point of the museum is the exquisite Barbier-Mueller collection of African gold artifacts. This collection was assembled over a 50 year period, started by Swiss collector, Josef Mueller, and continued after his death by his daughter and son-in-law, Jean Paul Barbier. 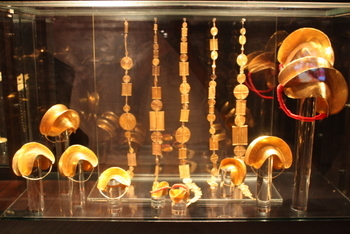 The collection was exhibited in the Barbier-Mueller Museum in Switzerland until it was bought in 2001 and returned to Africa by gold mining company Anglo Gold Ashanti. The museum is housed in the Martin Melck House, built in 1783. 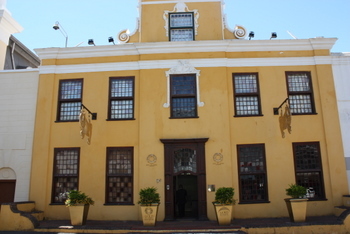 In 2000 it was restored to its former glory and is one of the finest examples of old Cape Town architecture. The permanent collection is enhanced with constantly changing temporary exhibitions from countries such as India, Brazil, Mali and Egypt. One of the aims of the museum is to bring to the attention of the public the skilful artistry of ancient African civilizations, as well as to preserve traditional designs and techniques for future generations, while inspiring contemporary designs. 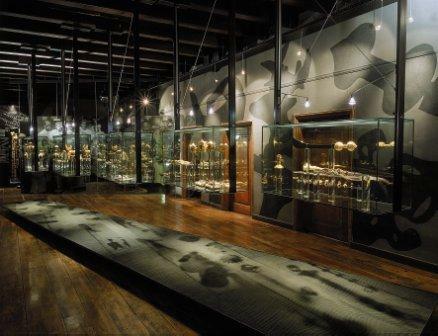 Tours offered by the museum are guided tours (by appointment), the Pangolin tour by torchlight and the Lion Walking tour. No you won't be seeing lions. 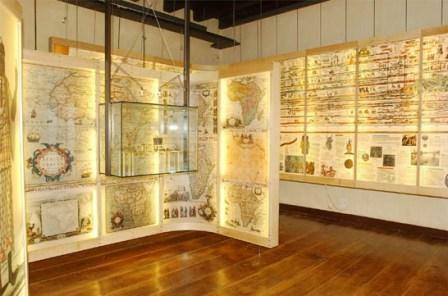 You will be following the paw prints of the extinct Cape Lion, to see historic Cape Town. Courses and demonstrations are hosted in the gold jewellery workshop. Here you can see local goldsmiths designing and manufacturing jewellery. Some of these pieces are sold in the museum shop. Gold Restaurant serves a fusion of African and Cape Malay food from a set 15 course menu served at your table. Start your evening with an interactive Djembe drumming session which will get you in tune with our African rhythms and songs for the rest of the night. 30 minutes of vibrant playing of the drums will ensure an energized start to your evening. A soothing hand washing ceremony will complete your interactive drumming experience. Return from Gold of Africa Museum page to Homepage.